NGINX (engine x) is an open source web server and a reverse proxy server for HTTP, SMTP, POP3, and IMAP protocols. 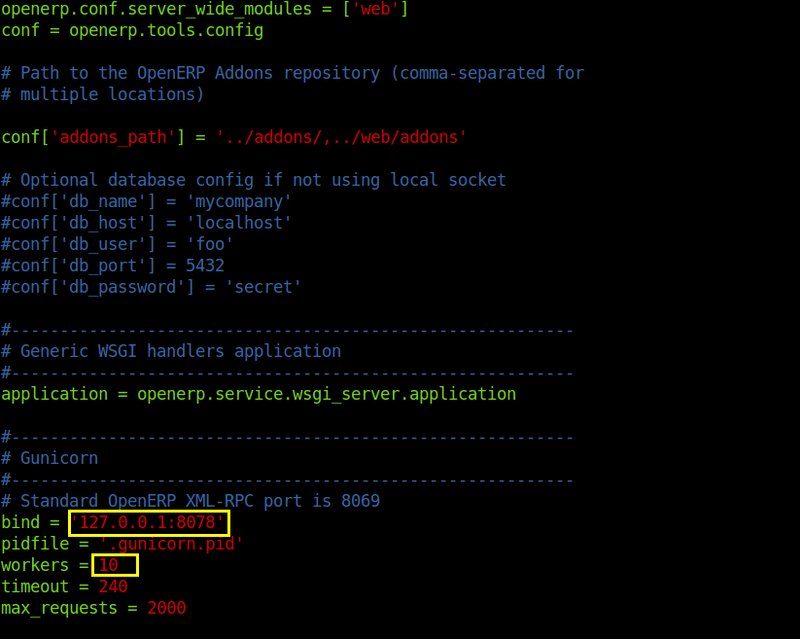 Lets configure OpenERP with NGINX and GUNICORN. To start with installing NGINX. It is also running on default port 80. Now lets install Gunicorn by following command. Now we have to create Certificate and SSL Key. It will asked user to input passphrase. Now generate certificate and signed it. Create site configuration file for NGINX. Now start OpenERP with Gunicorn. You can see no. of process execution. Now, you are able to access OpenERP with GUNICORN and NGINX. have you any idea how i can fix this?